You don’t need to look around for Superheroes wallpapers anymore. To Make your smartphone cool, “Superheroes Wallpapers HD I 4K” is here. A new wallpapers app with more than 1000 beautiful pictures of superheroes and premium collection of high resolution superheroes wallpapers. - All favorites backgrounds are placed under one roof which make it easy to view. - You can easily share ultra hd backgrounds or everyday wallpapers with anyone with just one click. Set wallpapers to your desktop as well as with one click. - You can save images in your phone in HD. - It has more than 1000+ uhd wallpapers and backgrounds. Categories : Finding your favorite superhero pictures is easy with search option. But to make it more easier and better, we’ve categorized everything. 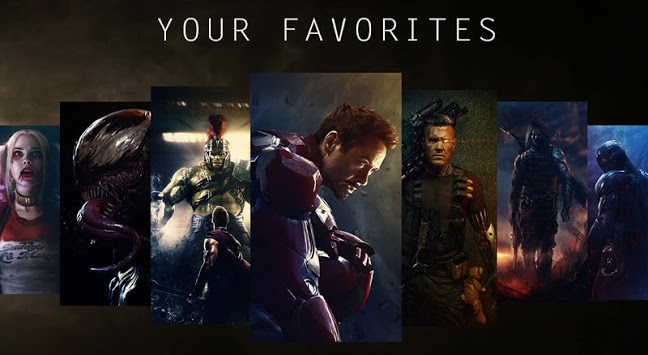 In categories section, you will find all the marvel wallpaper, DC wallpaper categorized by movie/comic name. 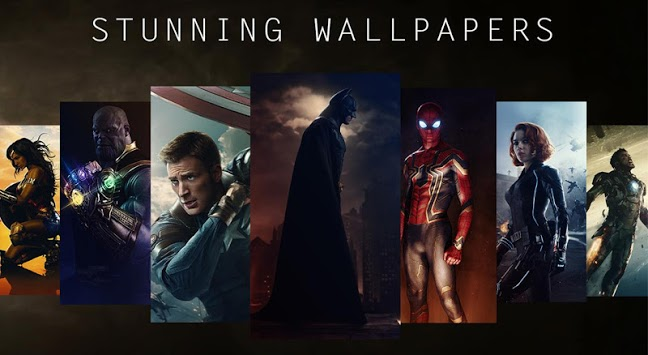 We’ve huge collection of superhero backgrounds from popular movies like Justice League, Iron Man, Spider Man, Captain America, Hulk, Thor, Superman, Deadpool, Ant Man, Captain Marvel etc. You can also filter these categorized wallpapers by latest and popular. Marvel Wallpaper : The hottest collection of Marvel Superheroes Wallpaper is one tap away. We’re doing our best to list every marvel characters wallpaper for your downloading needs. We’ve already covered most of free marvel superhero wallpapers including Iron Man Wallpapers, Captain America, Captain Marvel, Spider Man, Hulk, Thor, Guardians of The Galaxy and Avengers Wallpapers. DC Comics Wallpaper : If you’re a DC extended universe fan, then this app is worth giving a try. We’ve got your favorite superhero wallpapers of popular dc superheroes like The Flash, Batman, Superman, Supergirl, Catwoman, Wonder Woman, Green Lantern etc. Search Wallpapers of Superheroes : Search superheroes HD wallpaper easily. You can search by their superhero name or through their real name. You can find lots of wallpapers of your favorite heroes including Robert Downey Jr., Tom Holland, Scarlett Johansson, Brie Larson, Chris Hemsworth, Chris Evans, Eric Bana and others. Super Villain Wallpapers : Not just superheroes, but we’ve given some space to super villains too! You can easily download super villain wallpapers to your android device in HD format using this app. You will find the finest wallpaper images of Thanos, Loki and other villains. Tap to Zoom : Open a wallpaper and just tap on it to zoom and watch the superhero wallpaper more clearly. HD Quality : Each and every superhero wallpaper is available in high quality. Yes we know that marvel and DC fans do never compromise with quality. 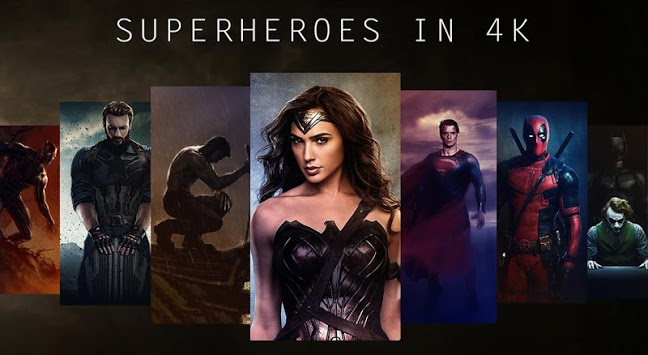 You can easily and quickly download wallpaper of your favorite marvel and DC characters in HD, QHD, UHD & 4K qualities.